Today I am kicking off a weekly series: Tiny Tip Tuesday. In this series I will share tiny tips and hacks to help simplify your life. For today's segment, I have a tiny tip for Bullet Journal users. 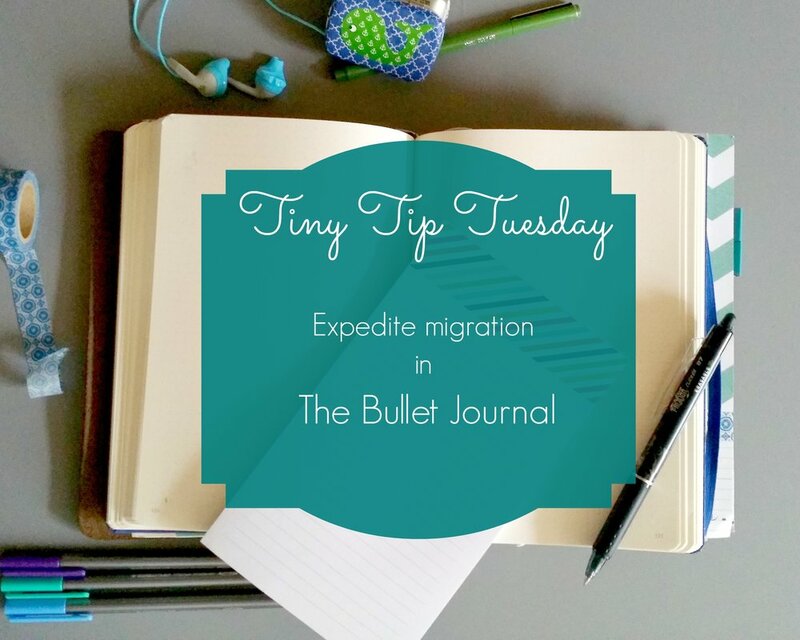 One of the great ideas with the Bullet Journal is in migrating tasks. Moving things from page to page can become a chore, which in itself is brilliant because it ensures it eventually gets done. To help expedite the process, place a checkmark next to the page number to indicate that you have migrated all the tasks from that page over. If you use multiple days in one page, place a checkmark next to the date of those entries. What do you do to indicate you've migrated items? Post in the comments below!